Air Conditioning and Heating WordPress landing page theme designed for Air Conditioning and Heating service firms solutions. 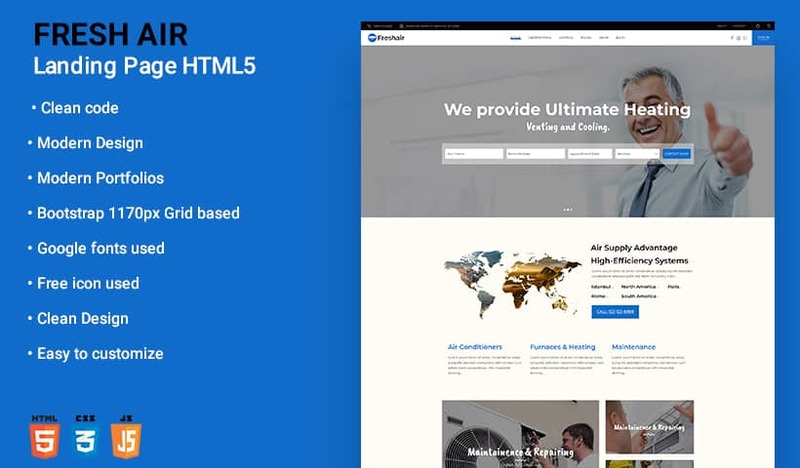 This HVAC WordPress theme provides many features to create your own company website easily without any modification of code. This powerful Air Conditioning and Heating WordPress Landing Page Theme are the best for HVAC businesses. It has been particularly designed for air conditioning, AC, air conditioner, HVAC air conditioning, heat pump, heating air, heating & cooling, ac air conditioning, furnace, air conditioners, HVAC, gas, oil, air condition, air con, heat and air, AC central air, portable air conditioning, repair air conditioning, window air conditioner, ac compressor, duct cleaning, heater repair, air conditioner systems. While crafting this air conditioning, cooling/heating, and ventilation services WordPress theme it includes an excellent platform for creating a modern business presentation for any small business. This WordPress theme may also be used for home repairs and maintenance service, an auto mechanic shop or a plumbing company. 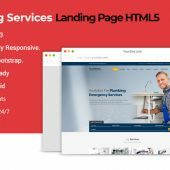 We specifically target Heating & Air Conditioning services industry while developing this professional WordPress Landing Page Theme to give our best. Also pay particular attention to providing a clean and elegant design – simple, yet informative. The Air conditioning and Heating WordPress Landing Page Theme provides an excellent platform for creating a professional looking, modern and convincing business presentation. All these awesome features will let you have a powerful and easily operated maintenance service webpage. Air conditioning and Heating WordPress Landing Page Theme with a modern – fresh & clean web solution for air conditioning firm, heating & cooling services agency, ventilation company, and air supply shop. With lots of powerful features, this theme will definitely satisfy your needs. The theme is compatible with such awesome plugins: Revolution Slider, WP-Bakery Page Builder (for creating any layout at your taste). The theme is fully responsive and 100% Retina-ready. Thank you very much that was super helpful. I’ve been playing around with air conditioning WordPress theme for a personal project. This theme is amazing! It is the first theme I bought done well. Support is very fast, Thank you for the work you put into your theme. You did a great job, very quick response and solved our problems in a very short time frame. I would highly recommend. Took care of my problem very fast, would give you preference again. This is an amazing theme. Really good customer service who help with everything you might need.it is the best theme I have used. I am so glad to pick it; everything is well organized and easy to use.